Special clinical interest in cervical and vaginal disease, colposcopy, cervical cancer screening, HPV and benign gynaecology. Cervical and vaginal disease, colposcopy, cervical cancer screening, HPV and benign gynaecology. Dr Karin Hellner is a board member of the British Society for Colposcopy and Cervical Pathology (BSCCP) representing the South-East of England, a BSCCP accredited colposcopy trainer and elected member of the Society for Reproductive Investigation (SRI). 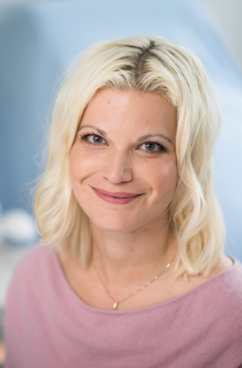 Dr Karin Hellner is a Senior Fellow in Women’s Health at Oxford University and lead a research program in the field of the molecular basis and clinical management of cervical dysplasia. Dr Karin Hellner’s main interest are the (pre-)clinical development of therapeutic HPV vaccines. Dr Karin Hellner is the lead consultant for Oxford’s colposcopy service and Principal Investigator of multiple national and international clinical trials.